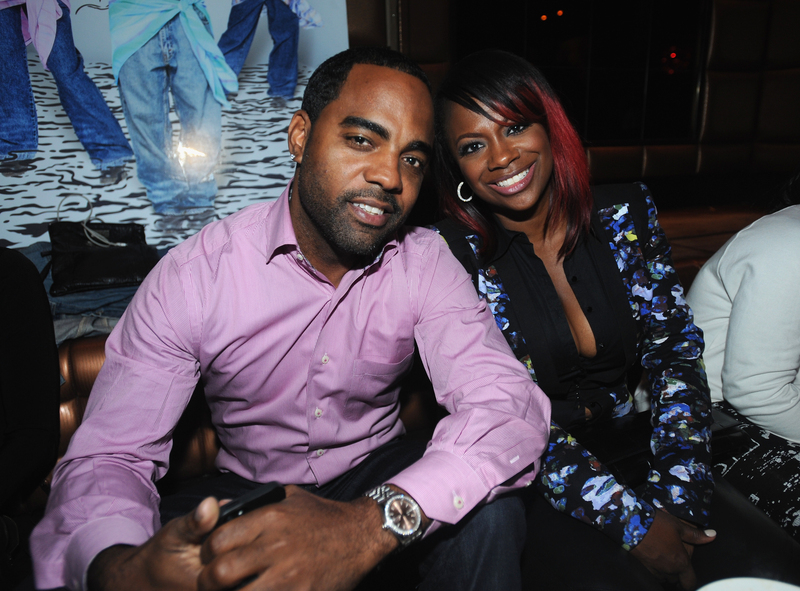 Kandi Burruss and husband Todd Tucker's honeymoon phase seemed to last right up until they got married. Ever since, these two have been constantly disagreeing every time they appear on The Real Housewives of Atlanta. But news has been breaking on gossip sites all afternoon that Kandi & Todd might get another spinoff on Bravo, after the success of The Real Housewives of Atlanta: Kandi's Wedding last year. Wh-wh-whaaaaat? These two have been fighting constantly, and they think the best way to stay together is to put MORE of it on camera? I mean, they're still together, so I guess whatever they're doing works, but I don't know if I'd want a testament to my marriage's rough patch immortalized with Bravo sound effects. But all of this spinoff talk is just speculation anyway. You know once one site hops on the story, in this case Madame Noire, the rest will follow, and the rumor mill is in full effect. No one seems to have more information than just the hint that this might be true, though, so take it all with a grain of salt. Kandi posted a selfie on Instagram a few weeks ago that looked like preparation for a talking head segment with the caption "Interview day for another show!" Hm... could this be the "Meet the Tuckers" project the blogs seem so sure about? On the latest RHOA episode, Kandi and Todd had a serious talk about their situation fertility-wise. Kandi doesn't want to move or raise a baby all on her own, and Todd is pumping the breaks because he is currently working on a new show in Los Angeles. It's a reality series called Hollywood Divas , that covers the lives of five black actresses trying to make it in the entertainment industry. Kandi laid down the law: she doesn't want a long distance relationship where Todd is constantly in production in LA and she's in the ATL. But at the same time, Todd had to do the same thing, when he pointed out that she has to be flexible for his career, too. He's not willing to give up working on his show, and even though the show tried to make him look like the bad guy, I don't think he is. Kandi has always been able to balance her dozens of projects, and while I don't think adding one more (the Meet the Tuckers spinoff) is necessarily the answer, putting her incredible work ethic towards fixing the problem absolutely will be.